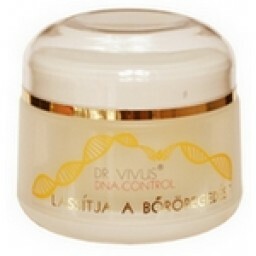 This hypoallergegnic cream is easily absorbed to restore life and health to dull, damaged skin. Ultraviolet light reaches your skin not only while sunbathing or using a tanning bed, but in shadows and through your clothing as well. UV-damaged skin ages faster, gets wrinkled and dotted by light and dark marks and freckles. 40% of malignant tumor-related illnesses is skin cancer primarily induced by UV radiation. Damage of the skin cells may be prevented and now repaired by using Cassia Alata plant extract, which repairs and protects DNA against UV-induced DNA damage. It is a smooth, rich cream that simply melts into your skin, regenerating it and restoring its elasticity and hydration. Aqua, Cetearyl Alcohol, Cetearyl Glucoside, Glyceryl Stearate, EG-100 Stearate, Cocoglycerides, Dimethicone, Isopropyl Palmitate, Palmytoyl Hydrolyzed Wheat Protein, Ethylhexyl Methoxycinnamate, Diethylamino Hydrxybenzoil Hexyl Benzoate Ethylhexyl Triazone, Polyacrylamide, C 13-14 Isoparaffin, Laureth-7, Glyceryne, Saccharide Isomerate, Panthenol Aqua, Glycerin, Cassia Alata Leaf extract 2%, Tocopheryl acetate Alcohol Denat., Phenoxyethanol, M-E-P-P Parabene, Parfume. 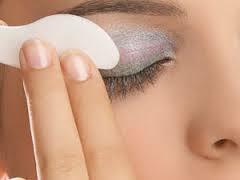 apply a small amount to face and neckafter cleansing. I've used numerous creams but this one is fantastic, melts into your skin, without any hint of oiliness. Leaves my skin, soft and nourished. It's the only one for me. My skin is very dry and quite red and itchy because of this. I used Nutrimetics for a few years, but buying it was always such a hassle, that I decided to try this cream instead. All I can tell you is: I'm converted! This cream melts into your skin, doesn't feel oily and keeps my skin soft and moisturised for hours after applying it. I cannot recommend it enough. I'm already using the second jar and given the way my skin feels, I'll keep using it for years to come.